Stephen Elbert has over 30 years of experience as a computational scientist and program manager for grand challenge applications at the U.S. Department of Energy (DOE) and the National Science Foundation, where he managed the supercomputer centers program. He regularly serves on the DOE Computational Science Graduate Fellowship selection and screening committees. 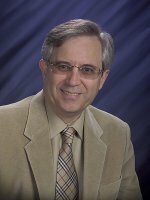 Dr. Elbert is the author of over 70 publications including journal articles (one with over 16,800 citations), book chapters, conference proceedings, and technical reports. He joined Pacific Northwest National Laboratory in 2004 and is also an adjunct professor in the School of Electrical Engineering and Computer Science at Washington State University. Makarov Y.V., B. Vyakaranam, Z. Hou, D. Wu, D. Meng, S. Wang, and S.T. Elbert, et al. 2014. Non-iterative Voltage Stability. PNNL-23736. Richland, WA: Pacific Northwest National Laboratory. Zhou N., Z. Huang, D. Meng, S.T. Elbert, S. Wang, and R. Diao. 2014. Capturing Dynamics in the Power Grid: Formulation of Dynamic State Estimation through Data Assimilation. PNNL-23213. Richland, WA: Pacific Northwest National Laboratory. Glezakou V.A., S.T. Elbert, S.S. Xantheas, and K. Ruedenberg. 2010. "Analysis of Bonding Patterns in the Valence Isoelectronic series O-3, S-3, SO2 and OS2 in Terms of Oriented Quasi-Atomic Molecular Orbitals." Journal of Physical Chemistry A 114, no. 33:8923-8931. PNNL-SA-73193. Elbert S.T., and H. Kirkham. 2009. Renewables Integration Model Concept of Operations. PNNL-19040. Richland, WA: Pacific Northwest National Laboratory. Kouzes R.T., G.A. Anderson, S.T. Elbert, I. Gorton, and D.K. Gracio. 2009. "The Changing Paradigm of Data Intensive Computing." Computer 42, no. 1:26-34. PNNL-SA-60191. Chin S.H., S.T. Elbert, and S.B. Colson. 2005. "Special Report: Computational Science - Behind Innovation and Discovery: Data-Intensive Computing Key to Large Science Discoveries." Breakthroughs. Science, Technology, Innovation. PNNL-SA-46267.